The bakery doesn’t seem to have worked out, as by 1891 William was an agricultural labourer (living next to his married daughter Anne Green) and in 1901 (aged 76) he was working as a road labourer. 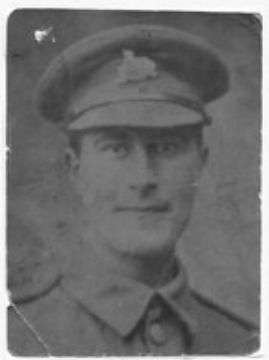 He died aged 93 in Jul/Aug/Sep 1918, so although he’d have known that one grandson (David) had already died in the war, he may not have known about Walter and wouldn’t know about Anne’s son Thomas Green. His niece Louisa married William Henry Ross from Stubton. Anne Wetherill married John Thomas Green. Reuban Wetherill married Francis Metheringham. Their eldest daughter Bertha Wetherill served in the Women’s Army Auxiliary Corps during WW1. She married in Yorkshire in 1920 William Wetherill married Maria Vickers at Caythorpe in Mar 1888. She already had a son and they had another 9 children before her death in 1905 (age 38), including David (born 1893) and Walter (born 1895). In 1901 they were living next door to the Wagon and Horses, perhaps in his father’s old shop. William (who was an ironstone miner) married again in 1910, to Dinah Taylor. In 1911 they were at Caythorpe Heath where William worked as farm gardener. But during the war they seem to have been in Frieston and William worked for Walter Burke, who ran the local ironstone mines. Dinah died in 1922 and William moved to Moor Barn, between Hough on the Hill and Brandon. He died there in 1940 (age 75) and was buried at Caythorpe. Walter was born in Caythorpe in 1895 and was only 10 when his mother (Maria) died. In 1911 (aged 16) he was a farm labourer, but later worked on the railways (probably in the ironstone mines around Caythorpe). He enlisted in the Lincolnshire Regiment in Lincoln in December 1915. He was sent to France the following October and was first home on 14 days leave in November 1917. At Easter 1918 he was wounded in a leg and sent to hospital in Birmingham. Whilst convalescing he was stationed for a while with E Company, 3rd Battalion in Ballincollig Camp, Cork. He then had a short home leave in August before joining 2nd battalion in France. He died of wounds on 8th September 1918 (a few days after Second Battle of Bapaume) and was buried in Dernancourt Communal Cemetery. He was 23. There is a transcript of a letter home, found on his body here. In July 1910 David was involved in a fatal accident. He was ploughing on Mr Pick’s farm while John and David Guy were horse hoeing in the next field. John Guy asked Wetherill for a wrench. Wetherill threw it towards him, but David Guy (age 13) then came out from behind the horse and was hit on the head by the wrench. The boy died 10 days later. David moved to North Hykeham and worked on the railways. He enlisted in the Lincolnshire Regiment in the early summer of 1916, having had an operation in order to pass the medical. He transferred to 2nd Battalion Royal Warwickshire Regiment and had only been at the front for a short time when he was killed in action on 10th November 1916, aged 24. He was buried at Beaumont-Hamel British Cemetery.